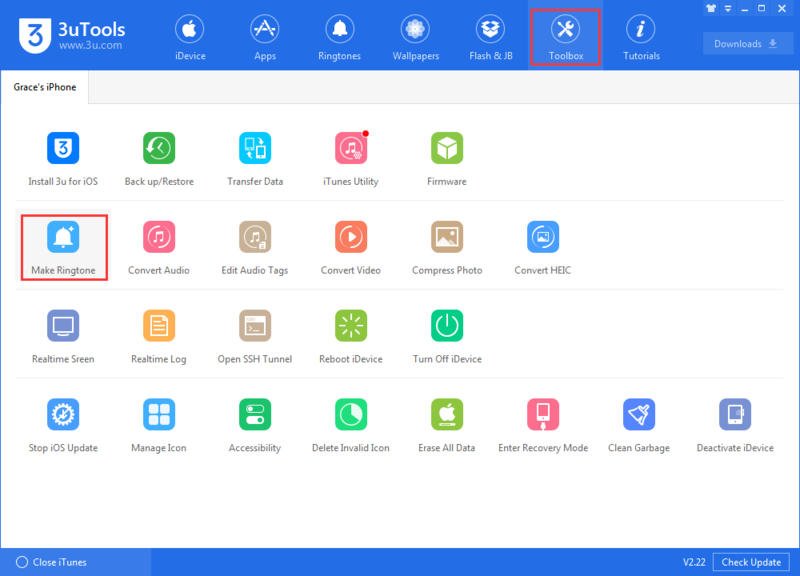 tutorial|How to Download and Set Ringtone Using 3uTools? How to Download and Set Ringtone Using 3uTools? 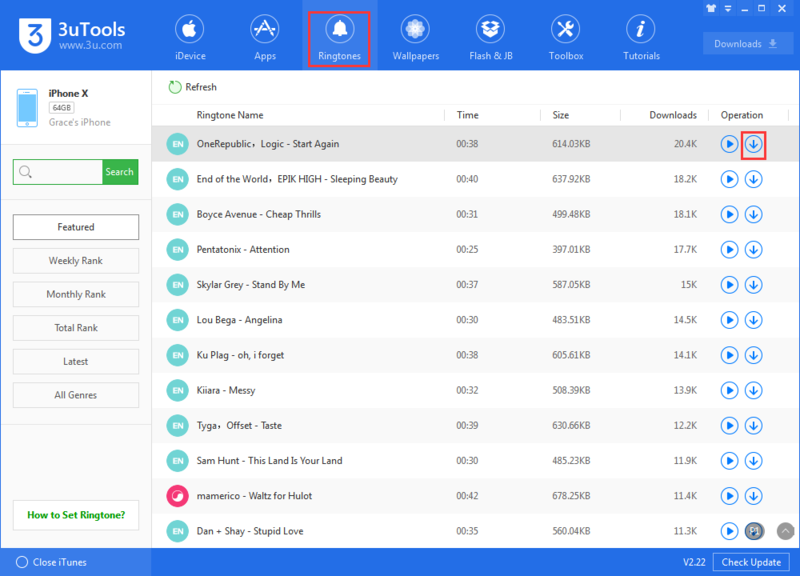 If you want to set your favourite music as your iPhone's ringtone, 3uTools allows you to realize it. 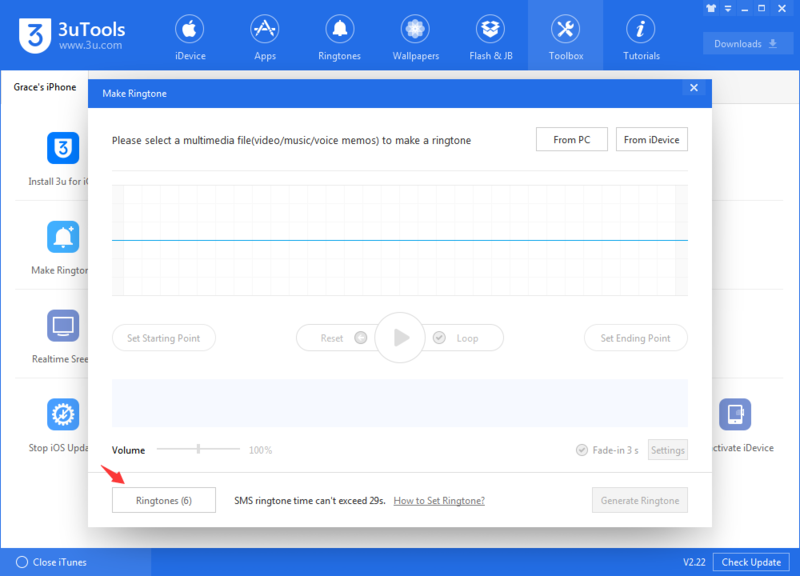 Download the ringtones on 3uTools, then import them to your iPhone. Step 1 Start 3uTools, connect your iPhone to the PC. Click "Ringtones", and click the download icon on the right side. Then you can import the ringtones to iPhone after downloading. Step 2 If you want to customize your own unique ringtones, you can make ringtones using 3uTools. Click "Toolbox" →"Make Ringtone". Click "Ringtones"(Ringtones Completed), then select the ringtone to "Import to iDevice". Wait till the import is completed. Step 3 Click Settings →Sounds & Haptics →Ringtone, then set the ringtone you like.